Most of you know that I am not just a Twilight fan but I am a Hunger Games fan as well. I can't wait for the movie to be released on DVD on August 18th!!!! Woohoo!!! That's only 15 days away!! Yay!! I also just read that the final book is going to be split into two different movie just like finales Harry Potter and The Twilight Saga. That means we have 3 more movies to look forward to in this series. Yay!!! 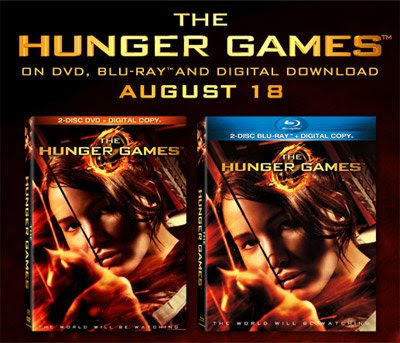 Here are the movie release dates that Lionsgate announced on July 10, 2012. Add these dates to your calendar Hunger Games Fans!! We have 4 dates to look forward too! !